Dungeons & Dragons is arguably the grandfather to all modern-day RPGs, whether it be tabletop games or video games. It popularized the concepts of the most notable character classes, such as ranger, rogue, wizard, etc. One could argue that without Gary Gygax’s and Dave Arneson’s vivid imaginations and passion for fantasy story-telling, Dungeons & Dragons wouldn’t have been born. And without that nerd-culture mascot, we wouldn’t have modern-day RPGs, table-tops and video games alike. I started playing Dungeons & Dragons about five years ago as a player; I was convinced by my friend to try it out. As someone who loves improv, performing, acting, and roleplaying games, she swayed me to try the epitome of being a geek. My first character was a human warlock named Tyris. He was charismatic, but not terribly intelligent, and with a knack for magic tricks to do for anyone who cares to pay attention. His favorite trick? Pulling a gold coin out of someone’s ear and give it to them. He was good at heart, if a little eccentric. I fell in love with the game. I loved the idea of building my character, but I took it a step further and wrote a huge backstory to him. Though it had zero impact on our games or my gameplay, it was a fun escape from the day-to-day droll I was experiencing at the time. Playing D&D revived my creative side. I am a writer, that much is evident. (You’re literally reading what I have written!) I have a history in creative writing, poetry, and song writing, but all of those things only came forth in the low points of my life. When I met my then-girlfriend-now-wife, I had no fuel for that creativity until I started playing Dungeons & Dragons. Fast forward to March of 2018 when I decided that I wanted to create a world. I had just finished reading the book/listening to the audiobook of The Secret History of Star Wars, the most accurate and complete account of the history of Lucas and his creating the Star Wars universe. He did what I’ve always wanted to do: let his imagination and daydreams come to life. I had my title. But, I knew not to be foolish enough to stop there. There’s a lot more to Dungeons & Dragons than just having an imagination and an idea as to what the plot is going to be. So, I asked my buddy Joe if I could borrow his Dungeon Master’s Guide, the bible for all aspiring Dungeon Masters. With that, I set forth to bring my years of daydreams to life. And here I am today, wanting to share what I have learned over my first year of DMing, with you. In this series, I will be giving you tips and tricks on how to start and run your first campaign. I’ll be providing examples, anecdotes, and the lessons I have learned through my own experience and growth. So, let’s get started. Roll for initiative! Alright, so with a Natural 20 and a modifier of +10, this section of this article goes first! And for good reason, too. You want to be a Dungeon Master. Maybe you’ve played a bunch of Dungeons & Dragons and want to delve into the world, yourself, and mold it to your image. Or, you’re brand-spanking-new to the hobby and want to jump in with both feet! Or… maybe you stumbled across Matt Mercer’s Critical Role podcast of his D&D games. The very first thing you need to do as a burgeoning Dungeon Master is to set your expectations. No, seriously, you need to be in the right mindset before setting off on this adventure. I mentioned Matt Mercer’s podcast in particular because there is a very disheartening phenomenon that has spurred up over the last couple of years literally called The Matt Mercer Effect. 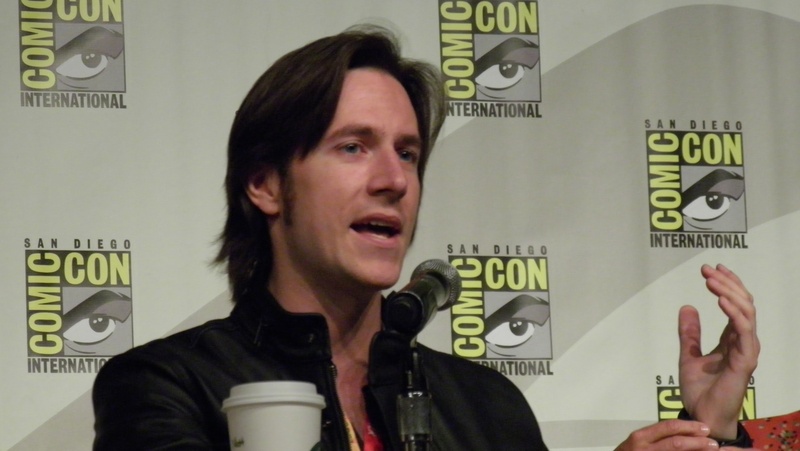 Matt Mercer puts on some damn good D&D sessions with his voice-actor friends. He is a masterful storyteller with a group of friends who professionally play pretend, whether it be on TV or as a voice. You are not Matt Mercer. Your friends aren’t Laura Bailey, Travis Willingham, Liam O’Brien or any of them. You will not get the same story as Matthew and crew. You will have your own story, your own crew, your own technique. It is absolutely heartbreaking to see excited new DMs enter this arena thinking they are going to get this amazing story with amazing characters and fluid story-telling, just to be utterly disappointed and quitting. “Seeing stuff like this kinda breaks my heart. Regardless, the fact of the matter is our style of play is just that…our style of play. Every table is different, and should be! If they just want to “copy” what we do, that’s not very creative nor what makes the game magic at the table. I DO believe that it’s important for any gaming group to discuss expectations early into a campaign so everyone can get on the same page and avoid dissonance. However, it’s EVERYONE’S responsibility at the table to provide and add to the experience for everyone to enjoy themselves and the story, not just the DM. As I saw some comments below mention, you want a particular style of game? That level of commitments rests on YOUR shoulders. Consolidate your style and wishes with those of the other players and DM, and somewhere in that unique mix you will find your table’s special style of storytelling. PLUS, our style isn’t for everyone! Hell, just scan the comments below to see how many folks don’t like us, haha. I’ve played with many different players, ran games of many different styles and focuses, and I can tell you… there is so much fun variety to how a TTRPG can be played, they’re limiting their chances to enjoy it by trying to “play it just like us”. The topic at hand can be found here on reddit.com/r/DMAcademy/. This is Critical Role, but you are you. YOU make your story. Critical Role is made up of paid professionals who do this exact thing for a living, but they just apply it to Dungeons & Dragons. Do not get your hopes up because you’ll only be let down. In fact, go in with a low bar! You are new to this! You’re not going to know every rule or how to handle every situation. Your players may not even role-play at all for the first few sessions… and some of them might never. That is ok! D&D is about friends, as cliché as that sounds, and the stories you guys create, not the stories you want to imitate. Set your expectations to a reasonable level and forget trying to have the perfect campaign until you have a few years under your belt. In doing that, you won’t be disappointed and neither will your players. You certainly can take inspiration from Matt’s stories, or perhaps learn his strengths and weaknesses and take them as lessons, but don’t try to emulate Matt. You are you. I say this with utmost sincerity because I want all aspiring DMs to have fun. You need to have fun, as well! If you temper your expectations, you will be free of that burden and will enjoy your very own epic that comes from your table’s pencil tips. This is your story, no matter how grand or simple. Now that you understand that you need to temper your expectations (and not expect a masterpiece out of your own campaign), you’re well on your way to becoming a DM. Having the right mindset is very important to being a Dungeon Master! Now, you need a party to tell your story to! I started playing D&D with my good friends Max, Joe, Kira, and Justin several years ago. We were constantly playing together, reading things, and building our characters together. After a few years of on-again-off-again “one shots” (one session-long mini-campaigns, for those not familiar with the vernacular) hosted by either Joe or Kira, I decided that this was something I wanted to do. So, in the spring of 2018, before I started writing, the very first thing I did was send out a text to people who would be interested. That also included my friends who didn’t know how to play. I ended up with six players: Joe, Howie, Max, Justin, Alex, and Jay. Three of them were seasoned and knew the rules much better than I, and three of them were greenfoots. (Left to Right) Enki, Hud, Guaq, and Veles are in the belly of Maliterra. Two things to take note from this: the amount of players and the veteran status of said players. I lucked out with having three veterans to reference and ask questions about rulings and their experiences with other Dungeon Masters, with one of them (Joe) being a veteran DM himself. The other three had either never touched it before or hadn’t played in a very long time. The new players were my very first obstacle, as they presented with a ton of brand-new ways of thinking, a ton of questions directed towards me, and a bunch of oversights when it came to their character building. Luckily, with my three veterans as a safety net, I was able to recover from folly after folly and learn with my new players. I thought I knew the rules, but DMing is more of a performing art, rather than a calculated science. The lesson to take away from this is to know who you will be DMing. I urge you to start with your friends, if you want a more comfortable and welcoming environment, rather than starting at an open table at your local game-shop. There’s nothing wrong with that, I just personally wasn’t confident enough to do so. Secondly, I recommend finding at least one veteran who can help you along the way, as they are more familiar with the rules and instances that can come up. Me: The party comes to a ravine. The air is quiet, as the valley path dips down into a gentle slope, blocking all wind that is curling over the planes and pastures around you. As you are walking, you smell the soft green of the grass and brightness of the summer day. Enki the Ranger (Justin) – I would like to scan the area for any danger. Me: Right, makes sense. Roll for… investigation… I think. (I flip through the pages of my Dungeon Master Guide, but then cast a look to Joe). Hey, uh, that’d be investigation, right? Looking for danger? Joe: Perception would be best suited in situations like this. I would recommend that, but you’re the DM. Me: Alright, that makes sense! Enki, roll for perception. Enki: I got a 17. Me: Enki’s eyes dart from one side of the valley to the other, scanning the ridge, when suddenly a glint off of what seems to be like glass catches his eye. The Gang Goes to Maliterra. There is a lesson to be had when it comes to the specific types of players you will be DMing: personalities, conflicts, attitudes, and more. All of these affect how you enjoy the game and how the others do as well. However, that’s a topic for another entry in this series, so I will touch on that in the future. My main point is that I think it would be tremendously helpful to have at least one person at your table who would be willing to be your guardian angel. That being said, if you don’t know a veteran, it is not the end of the world! It will just end up being a different adventure with many learning experiences for you and your friends along the way! And frankly, what better way is there to learn something than with your closest friends? You have your gang, you have your expectations tempered and you have your confidence! That’s about it, right? Just wing it! No, do not do that. Oh, ok. Then you need to go in the opposite direction, then! Get a projector, make a hologram grid, with animated maps for your players! Get a subscription to Roll20, run everything from your computer, 3D print your buildings! Go expensive or go home! No. No, you don’t need to do that either. A digital grid is NOT necessary! Your DM space will quickly become cluttered. You’ll notice that I didn’t mention a grid. While that’s not entirely needed, it does make things easier to visualize, especially in combat. But, in all honesty, you don’t even need to buy a grid to play on. If you have a ruler, take a simple piece of printer paper, and make 1″ x 1″ lines and BOOM! You now have a blank slate to put your monsters and figures on. Even with just that bare minimum, if you have an imagination, you can still have fun. A grid is very useful. I used rolls of this before I made a digital game mat. Regardless of if you have a grid or not, paper or a notebook is still an essential piece in every DM’s toolbox. You will be encouraged to take notes on your story and your team as your campaign goes on. This makes for quick and organized referencing. As a Dungeon Master, you need at least two essential books: The Dungeon Master’s Guide as well as the Player’s Handbook. These two pieces of literature are of utmost importance to any Dungeon Master, seasoned or green. These books not only hold the rules as written (“RAW” in D&D jargon), but techniques to handle certain situations and scenarios while also giving suggestions for weapon and item drops, traps, dungeon layouts, etc. They also provide you with information on each race and class, as well as their abilities. You will need to be familiar with each class and race in order to smoothly narrate instances that make sense to your players, while also understanding what spells and abilities they will perform in the middle of the game. Common understanding of the rules and abilities will make for a much easier and a much more fun experience. There are other optional books available, such as Monster Manual, Volo’s Guide to Monsters, and Xanathar’s Guide to Everything, but I will not overwhelm you with these, just yet. We will touch on these another time. These will all be required for all rolls and interactions in your game, from looking at a rock, to fighting a god. From drinking and arm wrestling, to negotiating with a demon. Your and your gang’s dice hold the fate of the story. And that is all you need: sources for reference, paper and pencils, some dice, and if you don’t want to draw your own grid, some grid paper. and of dungeons and of dragons.